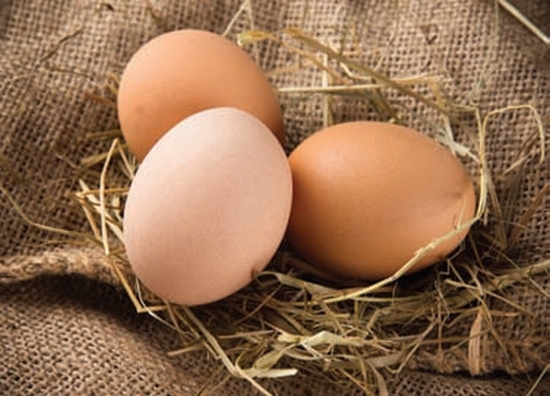 This summer news got out that many eggs in the Netherlands contained fi pronil. The scandal is not only a Dutch issue, but has spread throughout Europe and the world, since contaminated eggs have been found in 45 countries. The finger pointing and questioning of who is to blame has begun. Fipronil is a toxic insecticide that is used to remove lice from animals. The substance is illegal for the use of poultry and other animals for consumption, however the substance itself is not illegal for the use of buildings or pets. Patrick R. from the Belgian Poultry-vision ordered fi pronil in Romania from Farmavet. The Dutch company Chickfriend ordered fi pronil from Poultry-vision and supplied the product as DEGA16 as a wonder substance to the poultry industry. DEGA16 made the lice disappear for 8 months instead of 2 months which was the regular time period when using other legal insecticides, according to one article. Since the substance worked so effectively questions arise if the poultry industry was aware what was in the substance. There is the criticism on the industry that the self-regulating mechanism failed. The companies that hold the trademark IKB egg/chicken are deemed reliable partners for supermarkets. Supermarkets can be assured that there is a certain quality standard. 90 percent of the 180 poultry companies that were effected on the 4th of August held the trademark. The trademark organization explained that they didn’t check on lice pesticides, but are considering to do this in the future. Also, the industry could have checked in a public registry if the owners followed a certain education relating to the use of insecticides. According to the farmers organization LTO, only two substances are allowed to be used against lice, namely Elector and Byemite. The companies that are connected to the trademark IKB egg are only allowed to work with companies that are registered with IKB egg as pest control companies, which was not the case with Chickfriend. The poultry industry made a big loss, because many companies were blocked and couldn’t supply eggs. Also, 2,5 million chickens had to be slaughtered due to the fact that these chickens are still contaminated with fi pronil, the chickens lose the fi pronil in their body through the eggs. On 31 July, the NVWA (Dutch authority for food safety) informed the public about fi pronil in eggs. The poultry industry was outraged when NVWA interim inspector general on the 1st of August advised at NOS news not to eat eggs for a couple of days until more information was available. The next day the NVWA spokesperson clarifi ed that Freek van Zoeren had meant to say, that it is better not to eat the eggs containing fi pronil, eggs with certain serial numbers. The NVWA already knew in November 2016 about the fi pronil scandal, since they got an anonymous tip from somebody that clearly pointed out that fi pronil was used for the cleaning of buildings that housed chickens. The Belgian food authority was also criticized that they had known earlier of the scandal and didn’t inform the European Union on time. Professor Frans van Knapen who is an advisor to the NVWA says that interim directorgeneral Freek van Zoeren has no knowledge of toxicology at all. Frans van Knapen uses the example that if one cup of salt is eaten, it is deadly, but salt itself is readily available. Professor van Knapen points out that many substances get toxic if the amount is too high, but the amounts found in the eggs are not toxic, he says. It is illegal what happened and people should be prosecuted but the response was too strong according to him. In the Dutch political arena, the question arises who is to blame, is it the industry, is it the NVWA or is it the VVD and CDA that were more in favor of a self-regulating industry. Or was it the fault of the parties that didn’t give the NVWA extra money, or was it bad leadership from the deputy-minister and minister that were responsible. The fi nger pointing was clearly visible during the debate taking place on the 24th of August among politicians. Dion Graus from the PVV said condescending that he was always in favor of giving the NVWA more money. According, to professor Frans van Knapen the agencies top management lacks proper knowledge. The question might arise if it is a good idea to give more money to an organization that lacks the proper knowledge. Also, a question arises, why would you give extra money to an organization that didn’t respond adequately. On the other hand, it is said that the organization has many management layers, but not enough people in the fi eld. Additionally, it is not possible to take samples on every different substance. An argument in favor for more money for the NVWA is to increase their capacity and hopefully the food safety. Other countries around the world also found quantities fi pronil that were too high in eggs, since so many countries are effected that have also have food agencies, it seems that the issue is more complex. The Romanian company Farmavet could have known that the the fi pronil was used for the poultry industry, since it supplied fi pronil to the company Poultry-Vision. Then of course the two companies that brought it on the market as Dega16 clearly knew what they were doing was illegal. If the poultry industry was aware that the substance contained fi pronil is unclear or if the industry should have been more critical of Dega16 and the company supplying it is debatable. If the NVWA caused a lot of fi nancial loss for the industry is clear, several toxicologists claim the eggs containing fi pronil were not dangerous for the health, the NVWA followed the law and thus was acting correctly by ordering the destruction of eggs and chickens, but also eggs that potentially didn’t contain fi pronil according to some statements were destroyed. The industry of course would like to have compensation for the fi nancial loss. It is unlikely that compensation is received through the companies that are most responsible, namely Poultry- Vision and Chickfriend, since the companies are relatively small. The industry therefore looks at the mistakes made by the NVWA in order to claim compensation. The government is unwilling to pay a compensation to the industry, it will therefore stress the responsibility of the companies themselves.